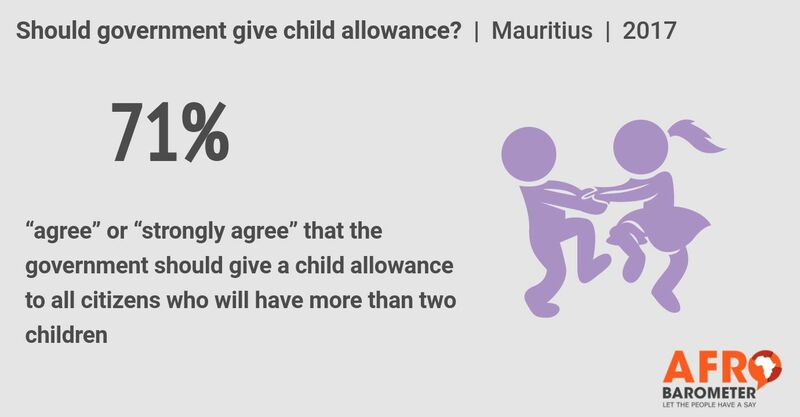 According to the most recent Afrobarometer survey, about three-fourths of Mauritians feel that considering the fact that the country is having a problem of declining population growth, the government should give child allowance to all citizens who will have more than two children. The fertility decline in Mauritius has a long history and occurred in the absence of economic growth and researchers say it may be attributed mostly to improved female educational status and active family planning programs. Currently the population of Mauritius only grows at a growth rate of 0.1%.